On the Road took five decades to come to the big screen. Is it worth the wait? Our On the Road review says, "yes." Yet, it is not the version of the novel we expected and that is not necessarily a bad thing. The film captures the spirit of the iconic book, but presents a different feel of the Jack Kerouac world that has been bringing joy to readers for generations. 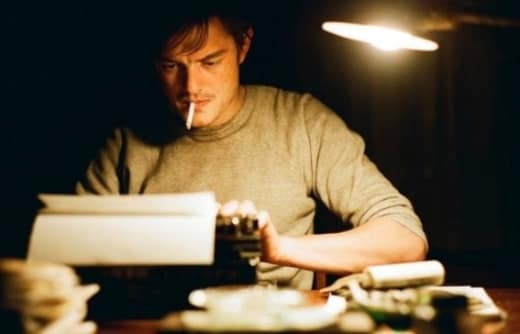 Sam Riley is Sal Paradise (a literary double for Kerouac) as Garrett Hedlund is Dean Moriarity (meant to be Neal Cassidy) as the book by Kerouac chronicles their time out... yes, On the Road. It is post-World War II America and Sal and Dean are living a life that echoes a certain free love and drugs lifestyle that would become embraced by popular culture decades later. They have the unique distinction of being a generation that was the first to be allowed to roam the landscape searching for their soul. They make mistakes, as cultural explorers often do, but it is the journey that these characters make that would set the road map for generations to come. Director Walter Salles is clearly a fan of the source material and his film serves as a true love letter to the societal explosion that was found on the pages of the legendary novel. Some say he took a chance on casting Kristen Stewart in the role of Marylou (also known as LuAnne). Would audiences who know her best as Bella from The Twilight Saga take her seriously in a role that serves as much of the source of strife between Sal and Dean? She may appear too young to capture the worldly view of a woman ahead of her time. 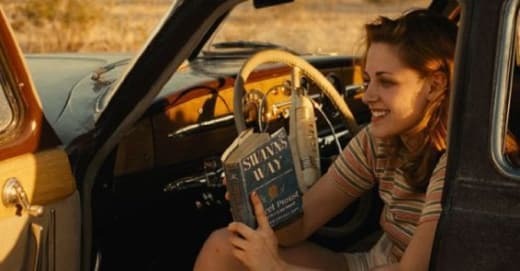 Yet, Stewart surprises and turns in a nuanced performance that should nicely set her up for whatever she wants to do post-Twilight, as teased in this Marylou-centric On the Road clip. We've been impressed with Hedlund for years now and he continues his hot streak, as teased in the On the Road trailer. But if there's one actor who steals the entire film it is Riley. He is the screen personification of Kerouac and the actor takes that quite seriously. You sense his struggling with his words. This is a writer who has not found his voice yet. Sal knows he has what it takes to put pen to paper (or in this case fingers to a classic typewriter), but lacks the world view to put those words into any kind of coherent manner. Riley is sensational serving as not only the voice of our story, but also the eyes and ears of the audience as they head out on the road. On the Road also has a truly special supporting cast to further elevate the film. Viggo Mortensen is Old Bull Lee (who we learn is truly William S. Burroughs) and one of our favorite actors loses himself in the small role that in hindsight serves as a huge impact to the growth of our protagonist. Amy Adams is his wife and the scene when the entire gang visits them in Louisiana is as important as exists in the entire film. It is executed with precision by Salles. Mad Men star Elisabeth Moss, Kirsten Dunst and Tom Sturridge all marvel with the material they're given. Although it is not the On the Road movie version Movie Fanatic expected, Salles' film is presented by a cast and crew who keenly appreciate what this novel means to so many. And as such, they have given Kerouac fans something the Rolling Stones would sing about years later in You Can't Always Get What You Want (But... You Get What You Need).